Ace Attorney Investigation: Miles Edgeworth will hit the U.S. and DS on Feb. 16, Capcom announced today. In Ace Attorney Investigations: Miles Edgeworth gamers will take on the role of the prosecutor. 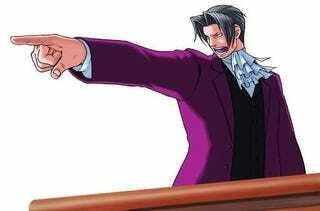 Players will use Edgeworth to investigate crime scenes in order to pursue the truth behind each case. By solving the puzzles presented to him, Edgeworth will work with the police to bring criminals to justice. If you're at Comic-Con this week you can check the DS title out at the Capcom booth.